LUCI (Lighting Urban Community International) is the international network of cities on urban lighting. Created in 2002 at the initiative of the City of Lyon, today, LUCI is a non-profit organisation bringing together over 70 member towns and cities worldwide that use light as a tool for social, cultural and economic development. It also includes over 40 associated members from the lighting industry, design agencies and research institutes. lifestyles and a need for more sustainable development. LUCI aims to help cities find appropriate answers to these major challenges with light. 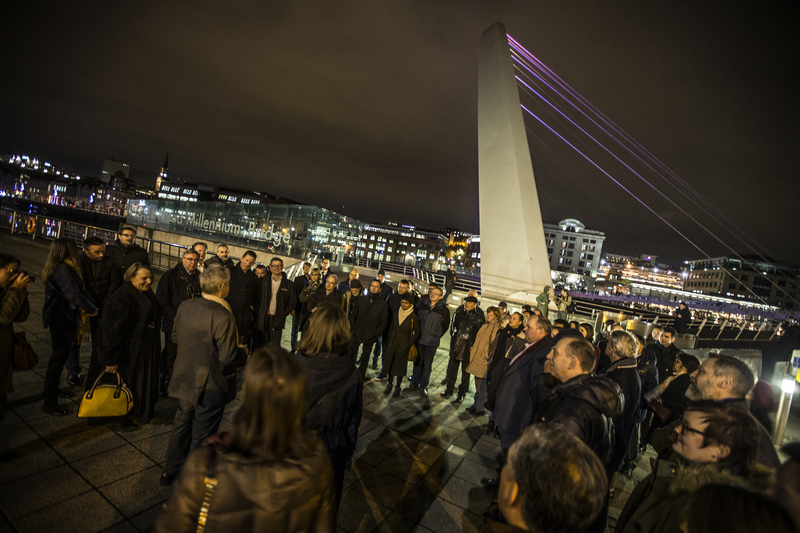 LUCI is the international meeting place for cities: Our international conferences, capacity-building workshops, field-visits and networking events bring together city lighting policy-makers, professionals and experts to exchange experience and share user feedback and information. LUCI is a knowledge centre on urban lighting: Our publications and on-line resources share collective intelligence on urban lighting – highlighting innovative projects, best practices and new trends – to help urban policy-makers and practitioners develop effective lighting strategies. LUCI is a platform to build partnerships and projects: By piloting multi-lateral projects and research initiatives that explore the new facets and potentials of light, we help cities progress together towards a more sustainable use of light for citizen-focused urban spaces. LUCI is the voice of cities: By creating spaces for cities to express their views, and by putting forward these views through international awards and advocacy documents such as the Charter on Urban Lighting, LUCI is the voice of cities on urban lighting at the global level. and 3 associated non-voting members.